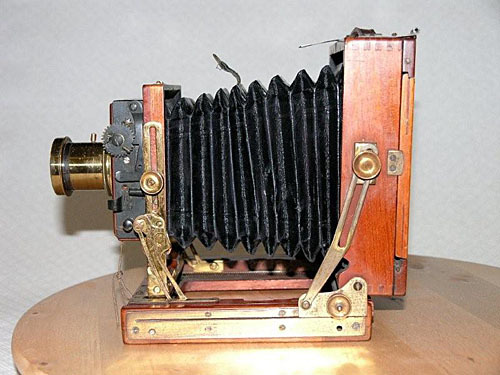 ENGLISH FIELD CAMERA. 1900. Acquired in pretty bad condition, but where do you find a better one? There is information on this camera in Channing and Dunn, p.26. 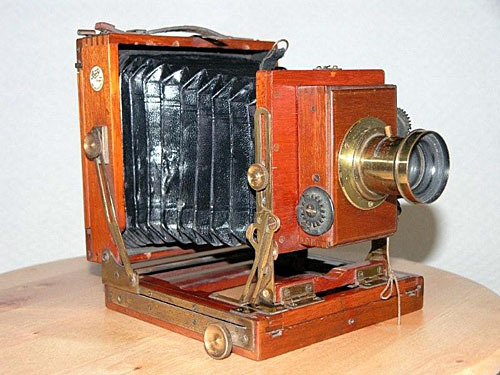 The camera was more likely made FOR Boots than BY Boots, though they did for a time sell some own brand cameras, before WW1. 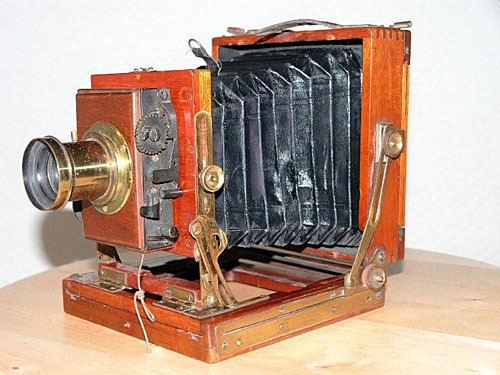 The locking/folding mechanism is so complex it is amazing that these cameras ever survived their first unfolding by an inexperienced user.